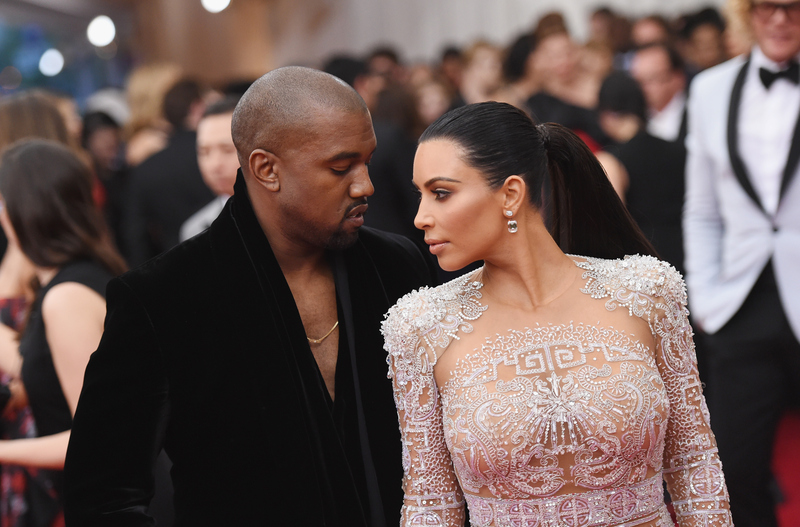 Will Kimye's New Baby Make This Year's Kardashian Family Christmas Card? Surprise: Kim Kardashian has given birth to a baby boy! Saturday morning, news was released across the Internet that Kanye West and Kim Kardashian West welcomed their second child. While excitement is in the air and Kim K's baby's name remains unannounced, other questions have begun to pop up. But, nothing is more important than this question: will the newborn be featured on this year's Kardashian family Christmas card? Lucky for her and us all, the baby came right at the beginning of the month, leaving ample time before the release of the annual Kardashian family Christmas card. Does this mean that the newest addition to one of the world's biggest power families will be photographed for the first time on the family's Christmas card? The Kardashians are no normal family. That means that there is really no such thing as a normal Kardashian Christmas card. They have grown more extravagant, glamorous, and over the top every year, if that it is even possible. What started as a family tradition has morphed into a staple for the well known reality TV family. These cards have evolved from your classic, themed, plain background portrait style photos to over-the-top photoshoots by some of the world's biggest photographers, like David LaChapelle. This only further proves that the bar for this year's card has been set very high. How will they surpass their past cards? My guess/hope is that the new (unnamed) baby will have role in the 2015 Christmas card. This family is one that is notorious for having jaw-dropping moments that everyone raves about. There's no way that they wouldn't want to include the newest member of the family in their forever talked about tradition. Older (but younger) children in the family like Mason and Penelope Disick have made appearances in the latest cards, so I'm sure they are looking for some company. It was a sad time last year when the Kardashian-Jenner were too busy to create their annual Christmas card. Thankfully, they can make it up this year. Congratulations to Kim Kardashian-West and Kanye West on the newest addition to their family!